[vc_row][vc_column][vc_column_text]I live for one of a kind experiences and ‘off the beaten path hidden gems. The kinds of places that aren’t crawling with tourists, and have have yet to climb the ranks of TripAdvisor. 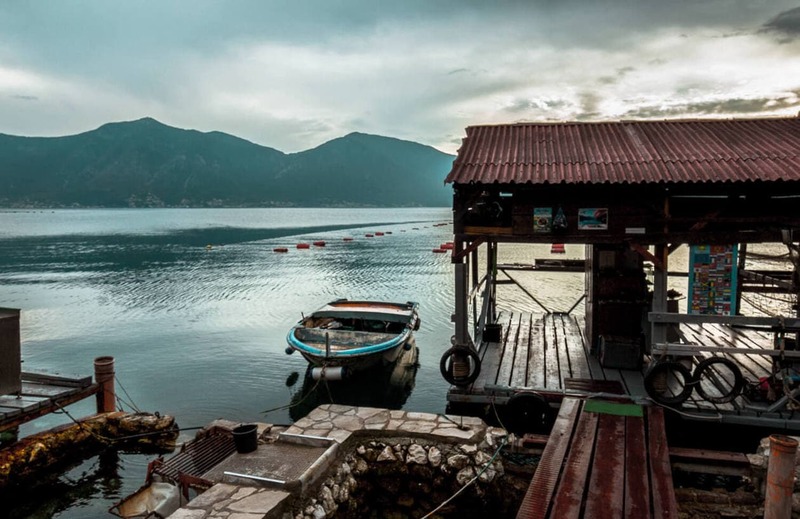 When we were in Montenegro, I stumbled upon such a place. 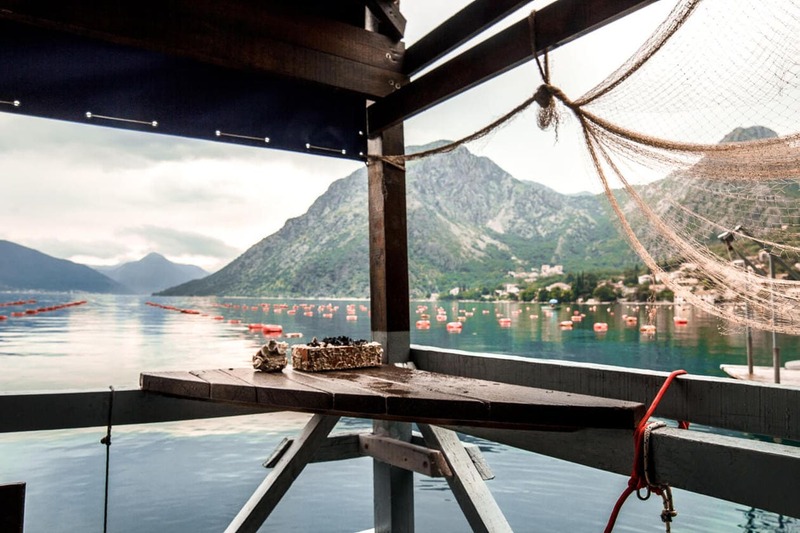 Sitting directly on the Bay of Kotor, Skoljke Boke raises and serves sustainable oysters and mussels, and dinner here was my favorite experience while in Montenegro. One afternoon I was on TripAdvisor searching for a place to eat, and coming up empty. Every top rated place looked touristy and inauthentic. 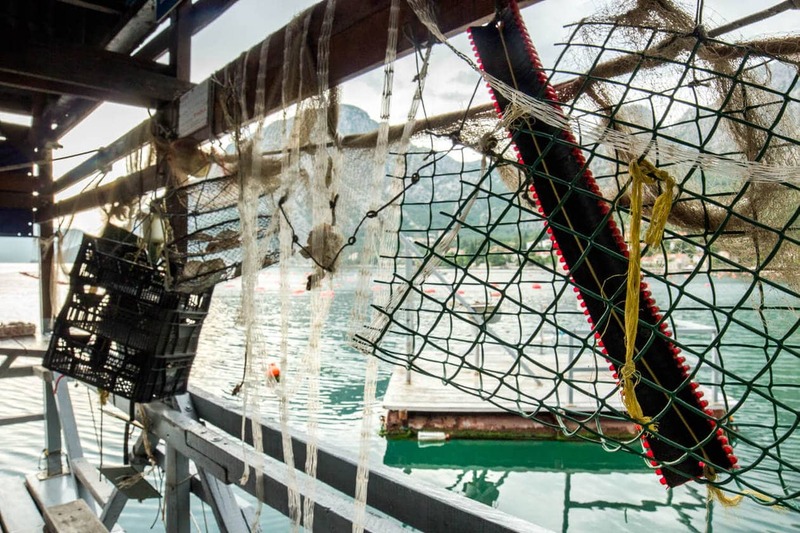 Muchhh further down the list, I stumbled upon an oyster “restaurant” (I use this term lightly) with one review in Montenegrin and 2 interesting pictures. It looked perfect. This could mean a few different things, all of which could yield very different outcomes. Is he open until 18:30 or could 18:30 be my appointment time? 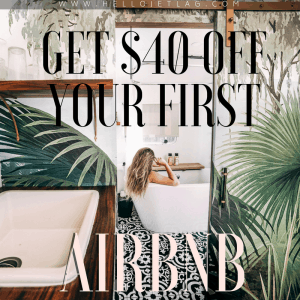 We took a wild shot in the dark and decided to just go. 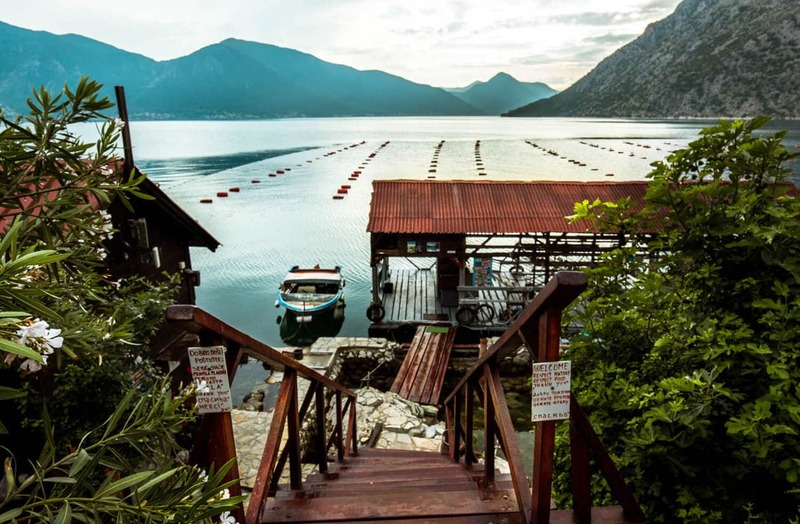 We parked on the side of the road and made our way down some slippery wooden steps to the restaurant, and literally leapt onto the floating dock. An intimidating man in grey sweatpants with a disconcerting look on his face approached us, appearing to be questioning why we were on his property. Nothing seemed to ring a bell and he continued to stare at me. My name must’ve triggered a distant memory from our email which took place 30 minutes ago and his demeanor completely changed. The man’s name was Nevres; he welcomed us with open arms and ushered us over to 1 of 2 wooden tables on the dock. After picking the size of the oysters we wanted, Nevres poured us two shots from an unmarked bottle of what seemed to be his personal hooch. I cannot tell you what we drank, I’ve never tasted anything comparable. All I know is that my entire body was covered in goosebumps for 10 minutes and I still have the aftertaste in my mouth to this day. 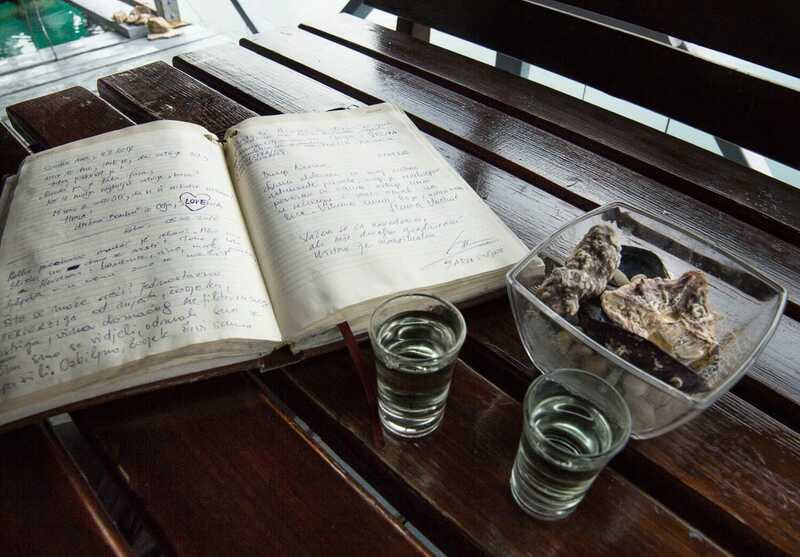 If you read Hello Jetlag, you know that I rarely turn down alcohol, but I immediately poured the shot through the wooden slats of the dock and into the bay as soon as Nevres turned his back. While we were drinking discarding our shot, Nevres was pulleying baskets of live oysters up from the bay. 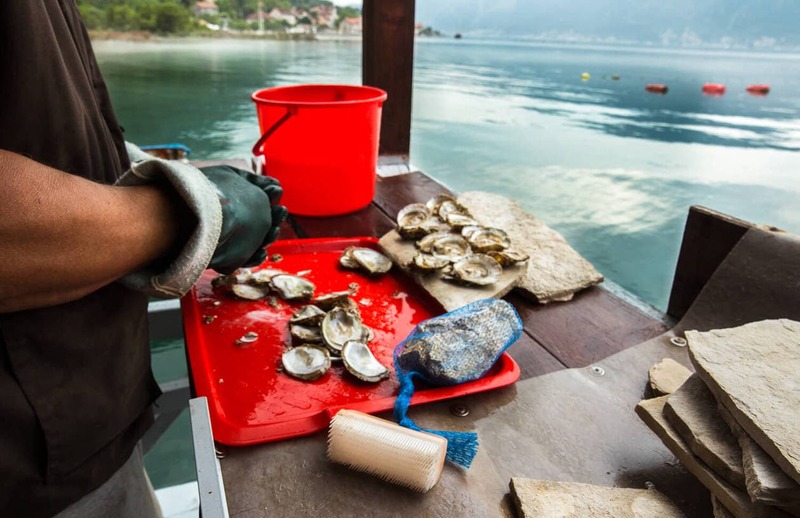 After choosing our oysters, he went over to his little work station to open them up while we got to sit and admire the gorgeous Bay of Kotor directly in front of us. 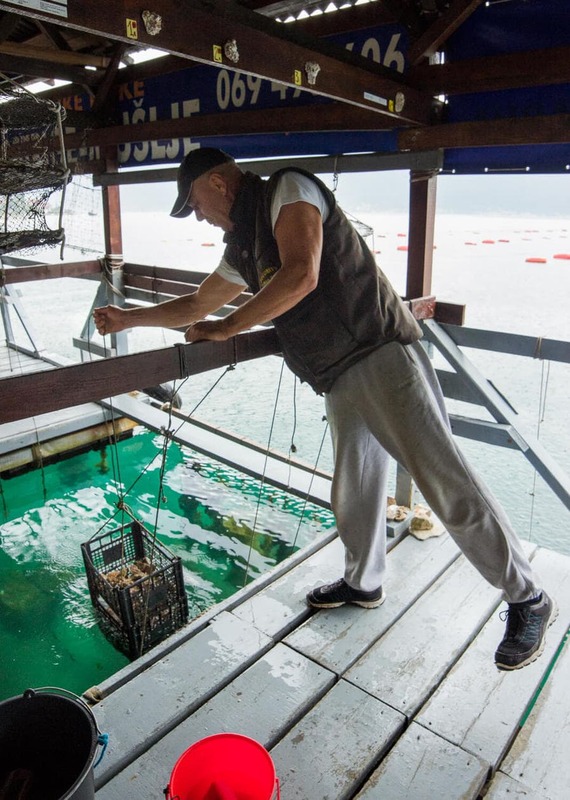 Not fully comprehending what a sustainable oyster farm actually meant, I did a bit of research and was pleasantly surprised. 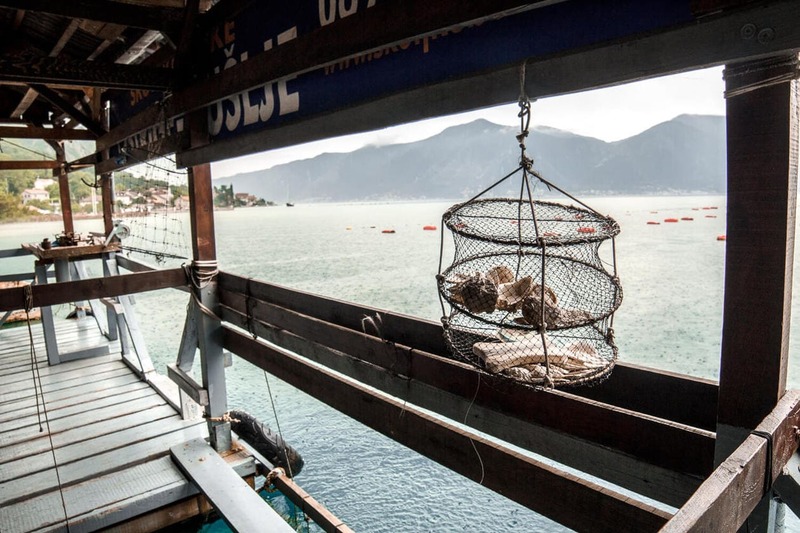 While most fish farms can negatively impact the environment, oyster farms can actually have a positive impact. 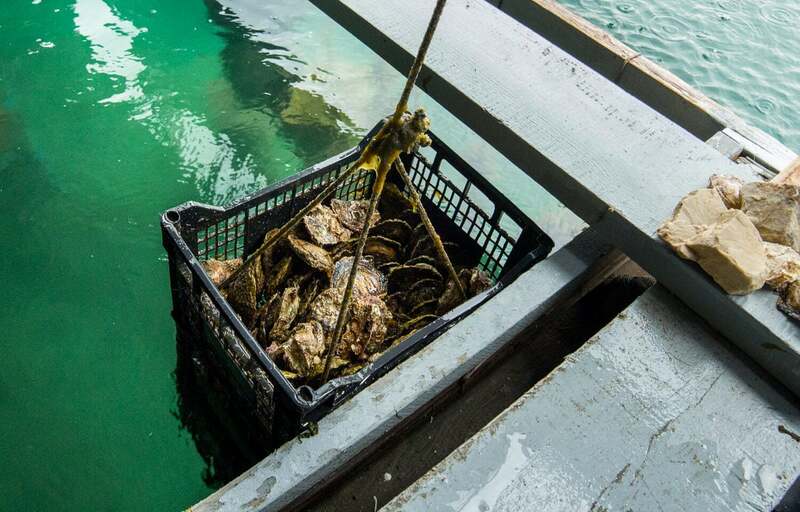 Oysters feed on tiny particles, plankton, and organic matter found in the water. They do no deplete other fish populations and do not require added food sources. Oysters are filter feeders and they are self-sustaining, so they actually improve local water quality. 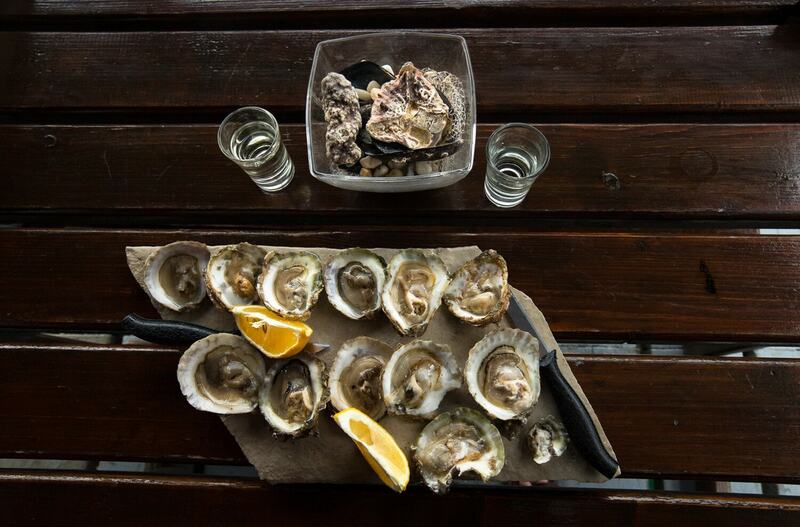 Oysters can be farmed without adding chemicals or antibiotics that can be harmful to the surrounding environment. 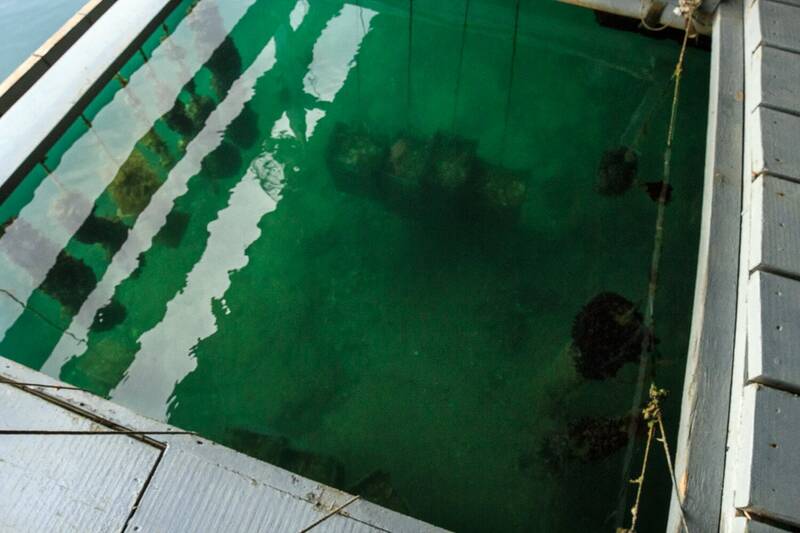 Wild oysters are harvested using hydraulic dredges, which rip up the ocean floor. Farming oysters reduces fishing pressure on wild oyster populations that have suffered from overfishing, pollution and habitat destruction. 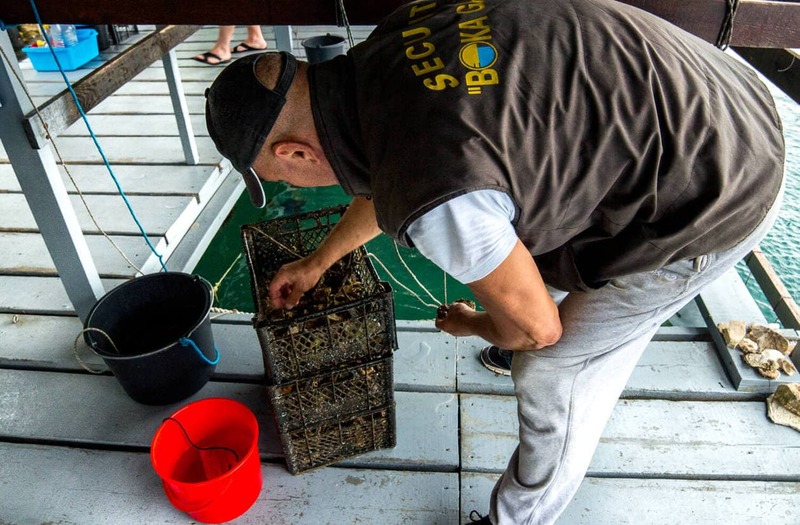 Nevres is passionate about oysters and sustainability. He speaks very little English (and we embarrassingly spoke zero Montenegrin), but he was able to convey his passion to us with almost no words. 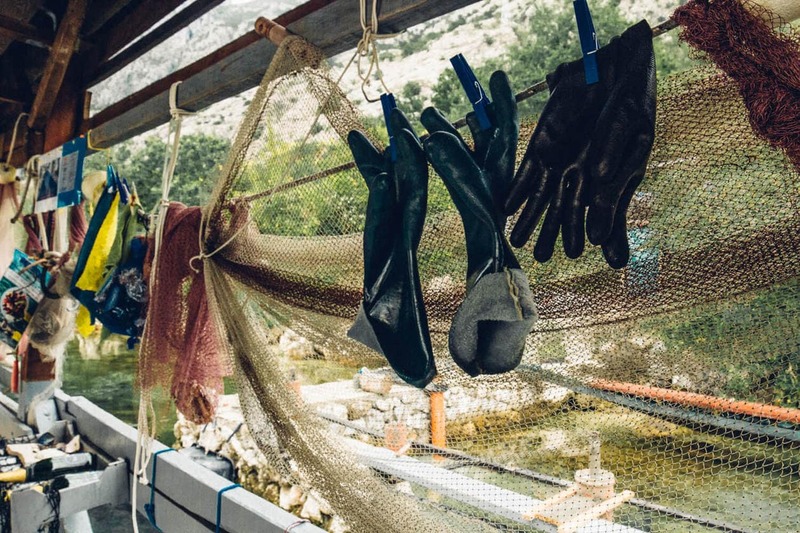 “The first and only shellfish farm oysters in Montenegro (Bay of Kotor), built on the principles of sustainable development, which also gives the possibility of a natural system of purification that is clean and healthy organic food from the water close to several permanent freshwater sources and 100m the river of Ljuta. Nevres soon presented us with a platter of his sustainable oysters, two organic lemons wedges and a complimentary glass of wine (the bottle was also pulleyed up from the the depths of the bay..). He taught us how to properly remove and eat the oysters (just 1 drop of lemon), and we felt like we were learning from a master. His method was simple and appreciative, a sharp contrast from my usual bathing of lemon, horseradish, hot sauce and the occasional vodka shot. Not surprisingly, Nevres’ oysters were the best I’ve ever had. Not only were they living in the water 5 minutes prior to this, but Nick watched a tiny crab emerge from one of his shells and dive back into the bay! It doesn’t get any fresher than that. There is no menu. Do not go expecting a restaurant or a full meal. He serves only oysters and mussels. The drinks were complimentary, at his discretion. 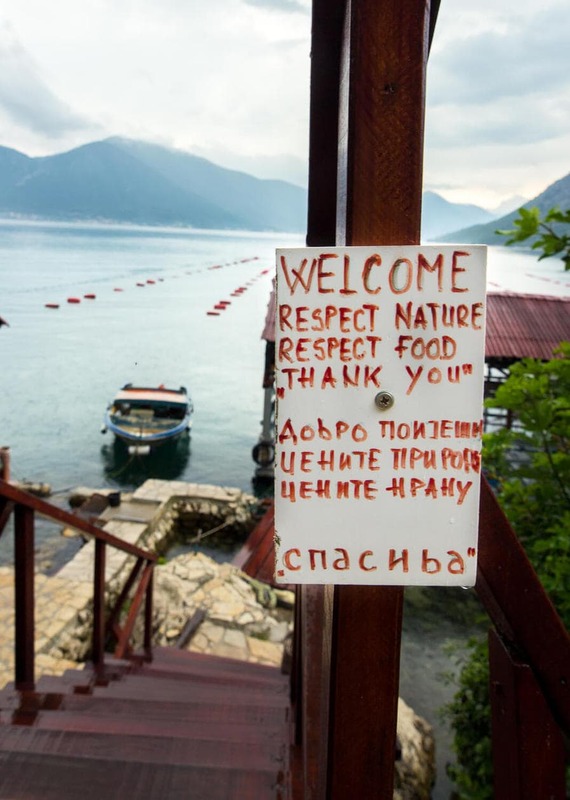 It’s not as cheap as most of the food in Montenegro. Oysters were between 1.5 and 3 euro a piece. This is the greatest story! You will be telling it when you are old! And I am a big fan of anyone who wears sweatpants to work. 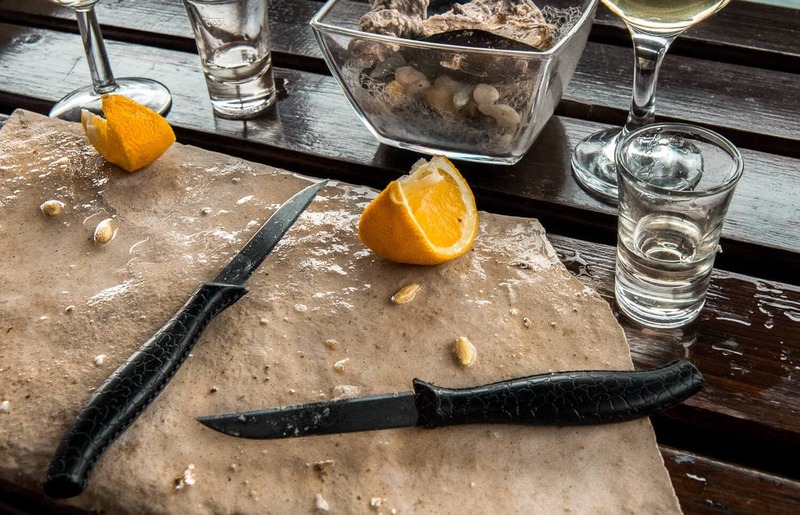 Hi, can you share with me the name of the oyster in Montenegro?